Welcome to Poker Flat Research Range – the largest land-based rocket research range in the world and the only high-latitude rocket range in the United States. Poker Flat launches scientific sounding rockets, performs satellite tracking and is home to a growing fleet of unmanned aircraft. Poker Flat Research Range is perfectly located in Interior Alaska. From this site, rockets can launch and fly over the sparsely populated tundra hundreds of miles north of the range with special permission from federal, state and tribal landowners. Additionally, the range is situated beneath the auroral oval – a ring across the circumpolar north where auroras typically occur – providing ample opportunities to continue scientists’ examination of the aurora. 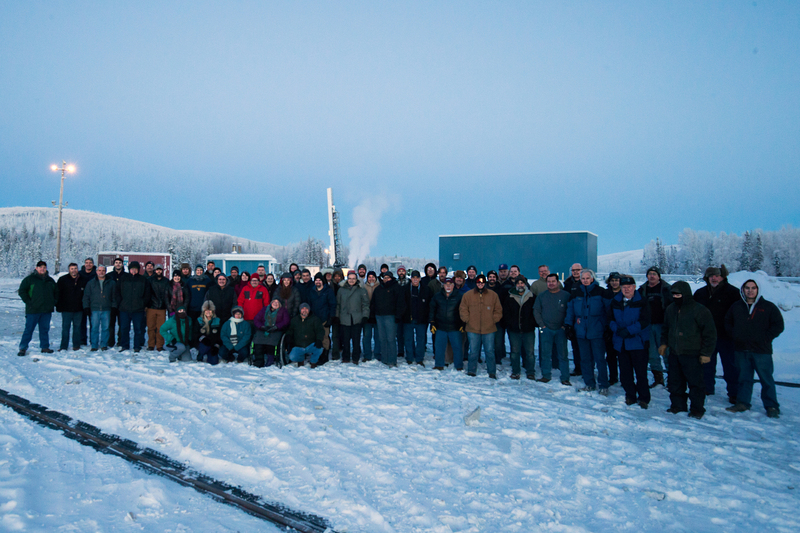 Most sounding rocket launches occur between January and March and scientists come from around the world to use the facility for their research projects. Poker Flat Research Range is the world's only scientific rocket launching facility owned by a university. Poker Flat is located approximately 30 miles north of Fairbanks, Alaska and is operated by the University of Alaska's Geophysical Institute under contract to NASA's Wallops Flight Facility, which is part of the Goddard Space Flight Center. In addition to launching sounding rockets, Poker Flat is home to many scientific instruments designed to study the arctic atmosphere and ionosphere. The following staff are located at Poker Flat and may be reached at (907) 455-2110.